Ketron There are 3 products. 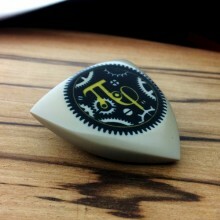 Guitar pick Riki 3 tips large model "Mastodon", Ketron material. Logo in embossed print on the front and engraving on the back for good handling.